This Day in Milwaukee Brewers History – Chuckie Hacks on 2-0! On this date in Milwaukee Brewers history, the infamous “Chuckie hacks” incident happened in Anaheim. This bit of baseball wackiness all played out on May 16, 1997, during a 5-1 Brewers loss to pitcher Chuck Finley and the Angels. 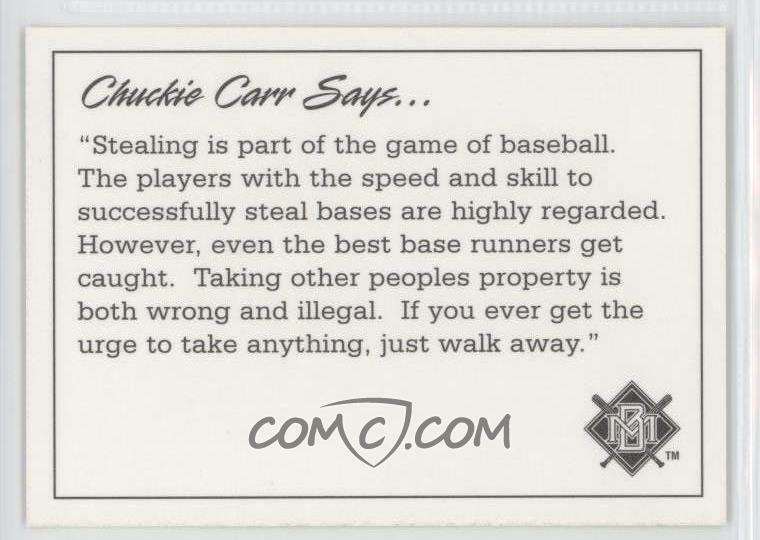 Anyone looking for a real life version of the fictional Hayes could look toward 22 year-old outfielder Chuck Carr. He was originally drafted by the Cincinnati Reds in 1986 and profiled as a hit for average guy, little power, but a stolen base threat. He didn’t last in the Reds system long, however, and was released the following April. The Seattle Mariners signed him, and by 1988 he made it to their AA team in Vermont, where he crossed paths with another young outfielder named Ken Griffey Jr. He told Griffey he’d better go find another position to play because Chuck Carr was going to be the team’s new center fielder. Carr hit just .219 in 76 at bats and found himself in the expansion draft that fall. The Florida Marlins picked him in the 14th round. When Carr did get in the lineup on an everyday basis, it quickly became obvious that he played at two extremes – either spectacular or frustrating. There seemed to be no middle ground with Chuck Carr. Reporters covering the Marlins found his “style over substance” manner of play to be great fodder for articles. A case in point is an article by Gordon Edes of the South Florida Sun Sentinel on May 7, 1993. The “hot doggish” Carr went on to have his best season in the bigs. He stole 58 bases to lead the National League while hitting .267 with 41 runs batted in. 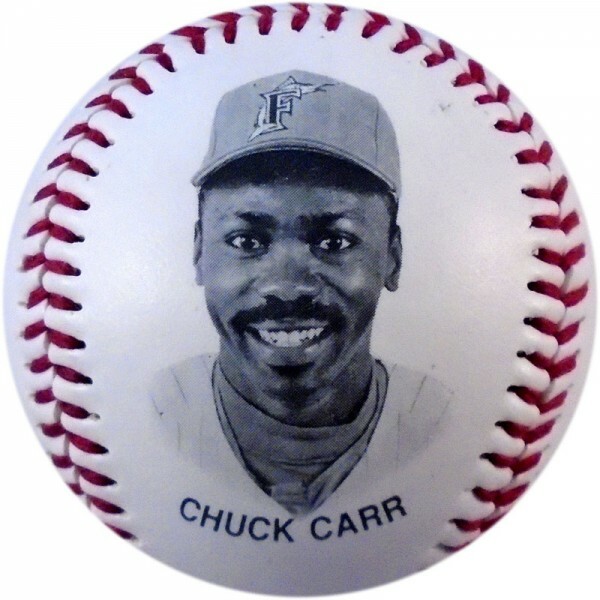 Hardly Hall of Fame numbers, but it seemed as though Chuck Carr was heading in the right direction. In 1995 he spent time on the disabled list in May for a pulled hamstring, and never got on track after that. By early August, manager Rene Lachemann had a closed door meeting with Carr, telling him he planned to take a look at Jesus Tavarez in center field. Carr headed to the bench and finished the year with a .227 batting average in 365 plate appearances. Meanwhile, Tavarez hit .289, making Carr expendable. Carr missed the rest of the season recovering from the surgery and reported to spring training in 1997. Brewers manager Phil Garner had high hopes for Carr that season, but they started off on rough footing. Garner accused Carr of loafing during defensive drills, and this led to a heated argument. Garner really needed a leadoff hitter, and wanted Carr in that spot – if he’d work on putting the ball in play more and working the count. But Carr kept on swinging for the fences as his batting average plummeted through April and May. 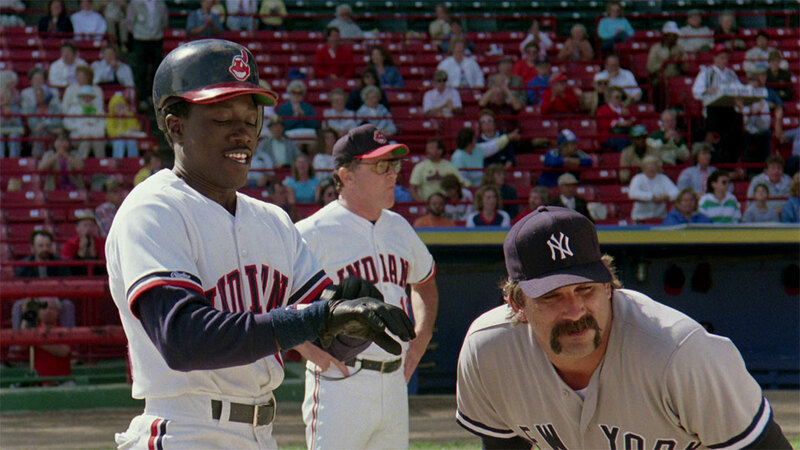 Not only did Carr resemble Willie Mays Hayes in Major League II for his plate approach, he also loved to speak about himself in the third person. 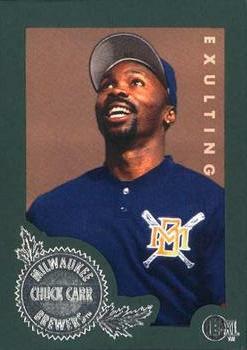 Other Brewers that referred to themselves in the third person were George “Boomer” Scott before Carr and Nyjer Morgan after him – but they generally backed up their talk with clutch hitting. Carr finished the year with Houston and it proved to be his final season in the majors. The Astros wound up winning the National League Central division for the first time. In a strange twist, ten years later Carr found himself coaching in the Astros minor leagues. 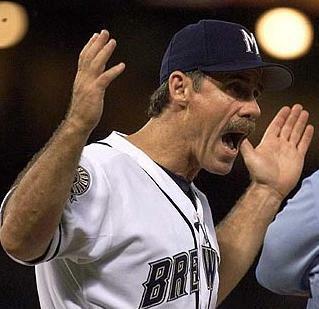 The Astros big league manager at the same time was…yup, you guessed it – one Phil Garner. Please feel free to share this article to your favorite social media sites with the buttons below the photos. Thanks! Phil “Scrap-Iron” Garner – would you dare defy this guy?